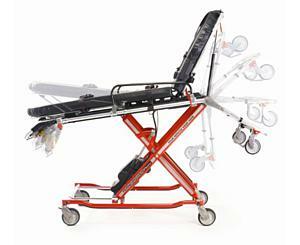 The POWERFlexx lifts and lowers patient loads up to 700 lbs at the push of a button, without lift assistance. The cot lifts the 700 lb. weight, not the operator. Increase your confidence knowing the cot can handle almost any size of patient while greatly reducing situations where you may injure your back. Plus, eliminate the need for battery management with the Integrated Charging System (ICS). (Not included).